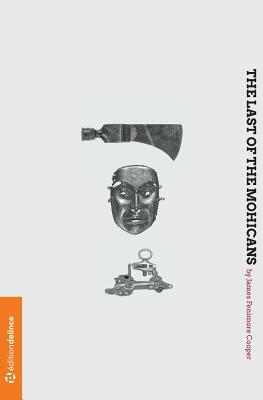 "The Last of the Mohicans" is one of five romantic (the literary movement not the genre) books in J.F. Cooper's "Leatherstocking Tales" set during the French and Indian War. Written in 1826, it was already 75 years past the events depicted in the story, but upstate New York was still in places very wild. The book is a cultural time capsule encapsulating a time when Europeans toiled to turn the wilderness into an approximation of their familiar European world. The Last of the Mohicans is also an explicit reminder of the tragedy of America's frontier settlement. An assessment of the destruction of the ancient natural world as we struggled to achieve the promised of the "new world." The protagonist Uncas is cast within the novel as "the last of the Mohicans" a symbolization of the death of Native America cultures in the wake of European civilization's unyielding encroachment. At it's core, The Last of the Mohicans is an adventure yarn that's pretty well-paced, absorbing and suspenseful. The novel is thematically anchored in the exploration of race and the essential difficulty of overcoming racial divides. Cooper suggests that interracial mingling is at once desirable and dangerous. The interracial love of two of the main characters Uncas (a Native American) and Cora (a woman of African and European descent) ends in tragedy. The forced interracial relationship between Cora and Magua (her Native American captor) is portrayed as unnatural. J.F. Cooper implies that interracial desire can be genetically inherited; Cora desires Indian men because her mother was of African descent.